If you’re like most growing businesses, keeping up-to-date with increasing payroll and tax regulations is becoming increasingly difficult and time consuming. Without a proactive plan to manage your back-office burden, achieving your business goals could get sidelined. 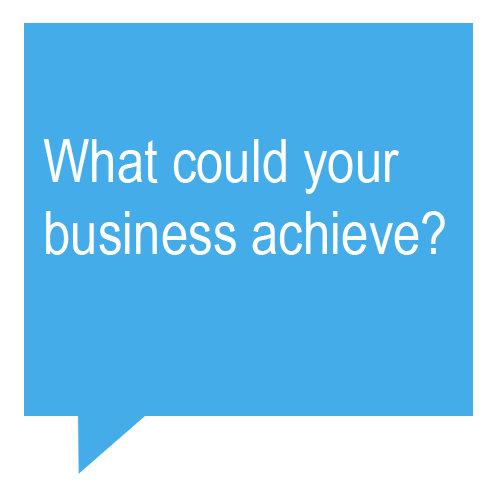 With greater control over your time and resources…What could your business achieve? Get help with payroll, tax and Affordable Care Act compliance challenges. Get new hire reporting to help you stay compliant with state regulations and help avoid penalties. Convenient, online access to payroll allows you to manage your costs and get quick answers to employee questions no matter where your business takes you. Employees can access pay data from a smart phone using mobile access. The industry standard for performance reviews used to be either Bi-Annual or Annual. That meant that only once a year did a manager and an employee get to sit down and discuss what was working well for each of them, and what was not. Performance reviews were viewed as a chore for both parties. As it turns out, they weren’t very effective. Today’s HR guidelines are calling for more regular interaction and feedback between managers and their employees. It would seem to me that waiting an entire year to address an issue is far too long, and on the reverse side, not giving an employee immediate feedback on a job well done is a bad idea as well. I am not advocating either of these be done in an offhanded way, but within a short period of time, it’s important to correct something that is incorrect and to acknowledge whatever an employee has done which shows initiative. In the interest of providing regular feedback, performance reviews are not an annual event. Quarterly meetings are recommended with employees. In one client company, job planning and evaluation occurs twice a year. Career development planning for employees is also scheduled twice a year, so the employee discusses his or her job and career, formally, four times a year. The MOST important thing is understanding. What means one thing to me could mean an entirely different thing to you. Be sure to circle back around to each of the goals and standards and let your employee provide feedback and even pushback. Perhaps your goals for them aren’t exactly the right ones. Give and take is important. Up to a point. If you could use some advice or training in how to handle performance reviews, make an appointment and we can go over things together. It’s a great time to find a new job in Indian River County. We have had some new venues open up, new businesses moving to our area, and our service providers are literally begging for people. Companies here in Vero Beach and Sebastian which provide services to the construction trade and to homeowners are the fastest growing market segment. But there is also a need for office personnel, retail associates, and yard maintenance. We are so excited by this trend and we really hope it continues for the foreseeable future. Midsized businesses added 78,000 positions in April. Unlike large businesses that may be sensitive to international economic factors such as currency exchange, and small businesses that might struggle to provide competitive wages in a tight talent market, midsized organizations are diverse, and their recent streak is difficult to attribute to any overarching economic trends. While midsized organizations showed no signs of difficulty adding to the payroll in April, organizations of all sizes would be wise to watch the U.S. job market in the months to come. The rapid-fire hiring that took place in the first quarter of 2017 could indicate that talent is at a premium, and wages could continue to rise to reflect a job market where demand is higher than the supply of talent. I disagree with the last sentence, at least for our area. For too long there have been local companies where the owners still spent too much time working IN their business instead of ON their business. With the uptick in demand, I think more companies will have the funding to hire staff and keep them working. If you are a small business owner, you probably wear many hats. In addition to being the owner, you may also act as your own salesperson, webmaster, accountant, and marketer. You are busy, and you don’t have the time or patience now to be your own payroll processor as well. What you need is a dedicated payroll Service like Complete Employee Solutions. At Complete Employee Solutions, we can handle ALL of your Human Resource and Payroll Needs. Payroll + Tax + Compliance Payroll and tax filing plus HR tips and resources to keep you informed. Payroll and tax filing plus comprehensive hiring and HR management services. These are just some of the services we offer. We can also customize certain services to better meet your need. Do you have any questions or concerns about your payroll situation? Give us a call, we are happy to help!